Time to return to middle pitch at Greenford which is a good wicket although outfield is not fast even though weather has been quite dry. Having won the toss, Graces batted with Niroshan and Asad as openers. Before this innings started, Pakistan were setting a challenging target for India in Championship Final so would there be sufficient concentration? Daman and Jags were opening bowlers and were accurate so initial play was very defensive, so much that the first boundary was not scored until the 7th over. This was just after one got through to take out Niroshan for 5 and Asad only had 7 by then. Stuart replaced and got the boundary to make a statement to Daman who took his revenge getting through the next over but a swift 14 indicated a change of scoring rate. Although the team, scorer, and welcome supporters had a little shade early on from trees as we had camp near long on, it was very hot and exposed out on the square. Bottles of water often passed around and the first drinks break was at 15 overs. Phil had arrived with several drinks to share around and went also for top up and Dom had carefully prepared frozen bottles of barley water as well as proving key equipment as Greenford is sparse on the pitches. Asad had opened up while Dom steadily guarded his end and cracked a fulsome six way into the forward trees. He came undone in the 18th as Captain Bains sent a ball that grounded very early and then crept at low level and under his stance. His 39 would be a healthy top score. His dismissal was not connected to wanting to hear more of India collapsing their innings. Newton replaced and after a slow start then played scoring strokes including a swept four off a high no ball. He looked very comfortable but at 30 there was a little nick and Sunny caught behind off young bowler Avish who had had a disastrous first over with wides and no balls. 120/4. Next up was Mahender who finished his slower start with a spectacular 6 that left them awestruck. He was now punishing any gift of a ball. Dom by now had a boundary but was soon caught behind off Akash for 16. Manish wanted to score from each ball but the slightest error let Daman through who had returned to bowling. Leo lasted another six overs longer and swept a shot surely to be six at long on but just inside Daman plucked it from the air. His 16 made the score now 169 for 7. A shuffle of late order meant Scott up next to keep the game into a late stand. It was not to be. Akash sent a stupendously high delivery for Mahender, at shoulder height at least, it dropped like a stone onto the wicket. They thought it was all over but Stuart and Dom conferring decided on no ball. The reprieve was short lived as he was caught Midwicket on a shot that had the legs to sail over the boundary. Another 30 nonetheless and in this 39th over the score at 174. Sam now came in but Scott faced and meant business with boundary. Sam tested the field but in Robbies second over he managed LBW. Last over now and Mamun and Scott played out singles to make the score 183. Tea was refreshing and on top of a reasonable provision, Augusto had kindly created a bowl of fish pasta which was well received. Although the hour was later to start fielding, there seemed no respite from Sun which had moved round and all sweltered. Newton and Asad were opening bowlers against Robbie and their Colin. A boundary each in first over due to a leg bye but any hope of more was dashed as Asad bowled and Newton caught cleanly at fine leg and Robbie was gone. Wicketkeeper Sunny was the next in. The pair batted prolifically despite some on the money bowling from all including Mamun and Manish. By the 14th over, it was time to give Newton another spell and he induced Sunny on 44 to send a deep shot to Third Man and a trademark capture from Stuart. Score was now 89/2. 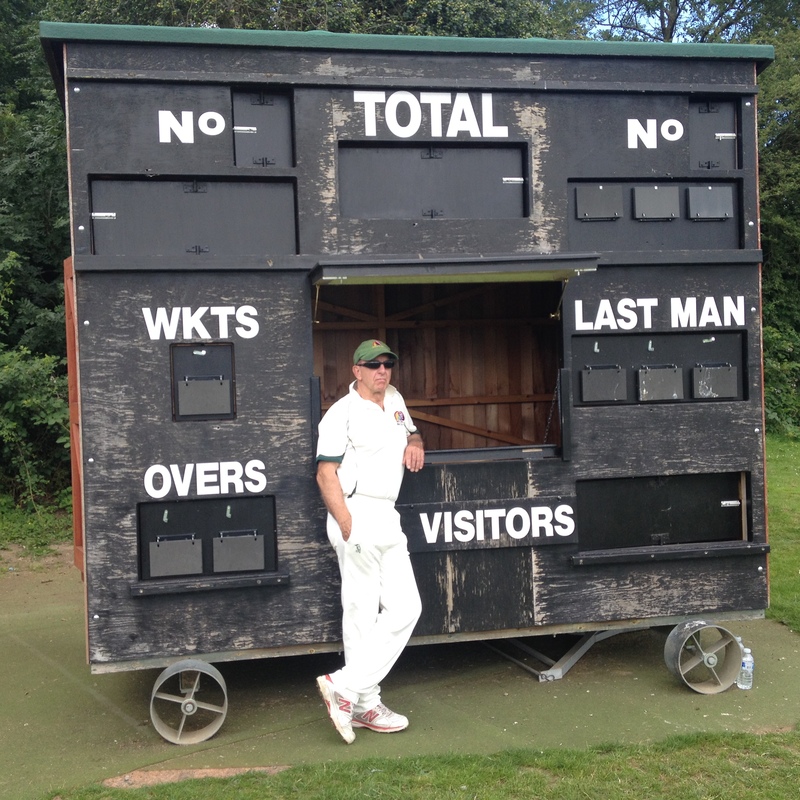 Bowler Daman now staked claim as all rounder as he relentlessly piled the runs with Colin and they each got past 50. The bowling of Mahender unsettled them but they adjusted and the pair could not be shifted. Our field held out to 20 overs for drinks where the score was 127 but in the next 6.5 overs there was no respite and it only fell to Mamun to be one bowling when the last boundary stuffed our target. Did we go so wrong? I think not, it was a respectable target against a side we have beaten. They had a strong on form batting top order. We were not falling in the field but perhaps the heat took an edge off super effort to stop balls running away. It was our day to lose. Unlike very recent times, we did not have multiple candidates for a match award and none was awarded. Good to have Matthew with us throughout, he was 12th man this week. Anthony often kept the scoreboard up to date and chatted with newer supporter Marc. Robin also spent some time with us. Dragons scorched us this time but appreciated the game and are willing to play us again if new opportunity arises. Next week team are off to the delightful ground at Sheen by Richmond Park. Last year they had a team with three under sixteens. If they are there how much development will we see, how challenging will the game be? The only way to find out will be to be there and hopefully Tom and James will not have worked too hard at Sam’s BBQ/Tennis the night before to be there vociferous in support. Next PostNext Eggheads here we come!